For as long as I can remember I have suffered with incredibly dry legs and recently the cold weather has taken it's toll on my hands and face too. 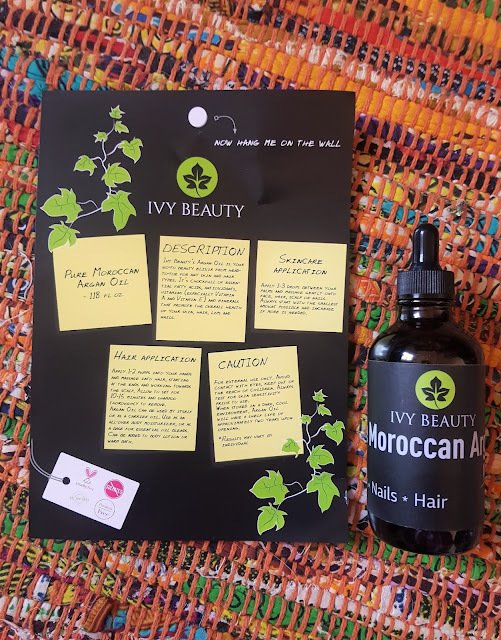 That's why when the ladies at Ivy Beauty offered me the chance to review one of their products, I chose this Pure Moroccan Argan Oil in attempt to use it for a multitude of things! If you fancy finding out how I found it, and to be in with the chance of winning a bottle of your own then keep on reading! 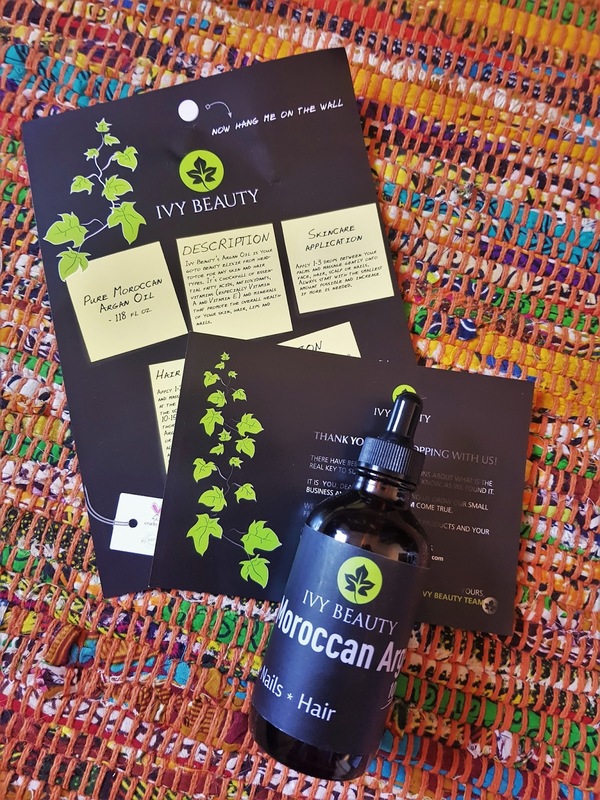 So as the lovely little product card says, Ivy Beauty's Argan Oil is a go-to beauty elixir for your head to toe beauty needs. This Pure Moroccan Argan Oil can be used for hair, lips, face and skin in general to help nourish and moisturise. One of the best things? It is completely organic with no hidden nasties! To put this to the test I tried it in a few different ways and wasn't disappointed by any of them! The only thing I will say is that I haven't tried it in my hair yet and I am definitely keen to know how it works. My hair can tend to get quite greasy so I would be interested to see if it made it any better/worse. I've also read that it can be used in a bath which I think would be particularly amazing but again, I'm yet to try this myself! Anyway, back to the test! I tried the Argan Oil on my legs, hands and face and found it worked really well on all. I had to dispense quite a few drops for my legs as it's a much larger surface area and it seemed to be soaking in super fast due to how dry my legs were. The good thing about this was that there was no oily feeling left behind at all! 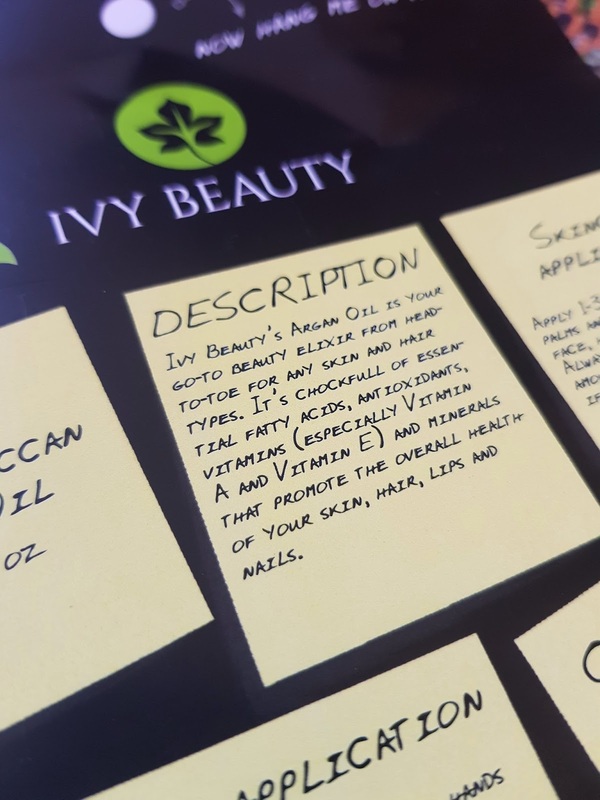 My face and hands took a little more absorbing time but still didn't feel particularly greasy. I used 1-2 droplets for both and this seemed to be the perfect amount to leave them feeling perfectly moisturised! I had no extra breakouts and think this would make a lovely natural alternative to an every day moisturiser. 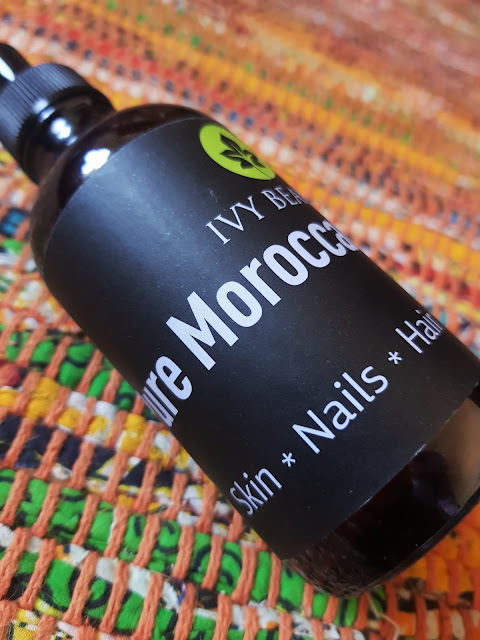 I'm also trained in nails and I think this would make a lovely cuticle oil for after a treatment! All in all, I would definitely recommend this product for a number of reasons, from value for money to being an overall good all rounder. The packaging is very sleek and simple and I think it's a wonderful product for someone who likes a multi-purpose product. I will certainly be continuing to use it as a 'moisturiser' type product and am really looking forward to trying it in the bath, too! Finally, the bit you may have been waiting for, a chance to win your own! Just follow the Rafflecoptor below to be in with the chance of winning and a winner will be selected and contacted on Friday 27th April. Disclaimer: This blog post is in no way sponsored however, the item shown was kindly gifted to me for the purpose of this post. All opinions and photographs are my own.